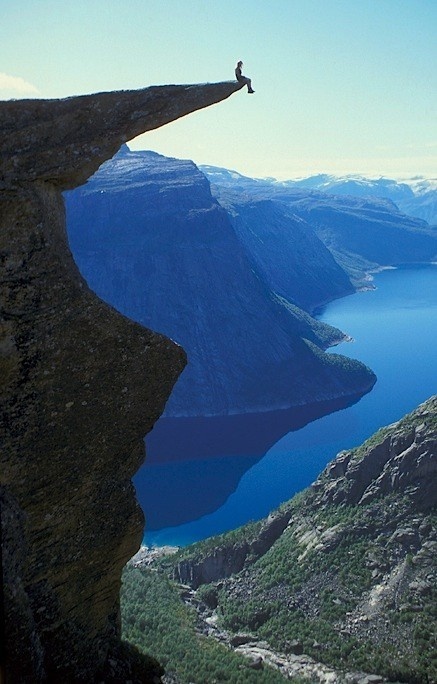 Trolltunga is a piece of rock that stands horizontally out of the mountain above Skjeggedal in Odda, Norway. Odda is a municipality and town in the county of Hordaland, Norway. Odda was separated from Ullensvang on 1 July 1913 and on 1 January 1964 Røldal was merged with Odda. The town of Odda is the centre of the landscape of Hardanger, located at the end of the Hardangerfjord.